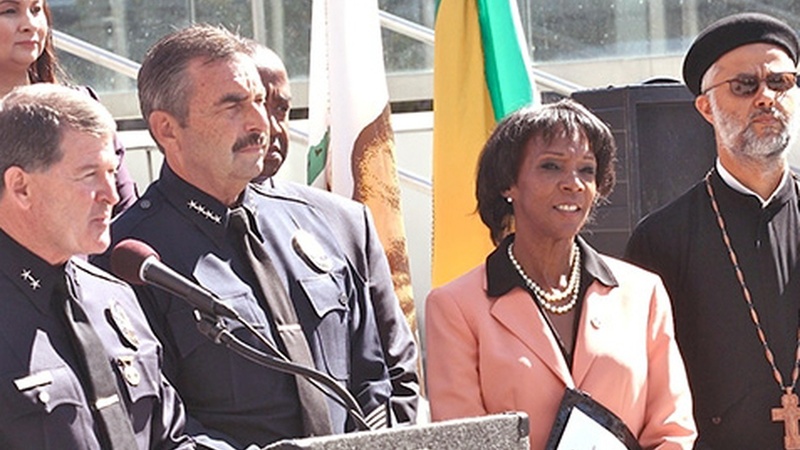 LA County District Attorney Jackie Lacey faces no credible challenger yet in this year's bid for re-election, but she is facing increased political pressure. LAPD Chief Charlie Beck wants her to file charges against one of his own officers in a controversial killing — an action he's never taken before. Political activists are waiting for her decision. Later on the program, Governor Brown's approval ratings just might depend on the weather, and California Republicans just might have a big voice in the race for the White House. Public opinion about elected officials goes up and down. In California it might depend, at least in part, on the weather.